I was greeted by the pillows, fig scented candles, throw blankets, plates, and a limited selection of men's and women's clothing. 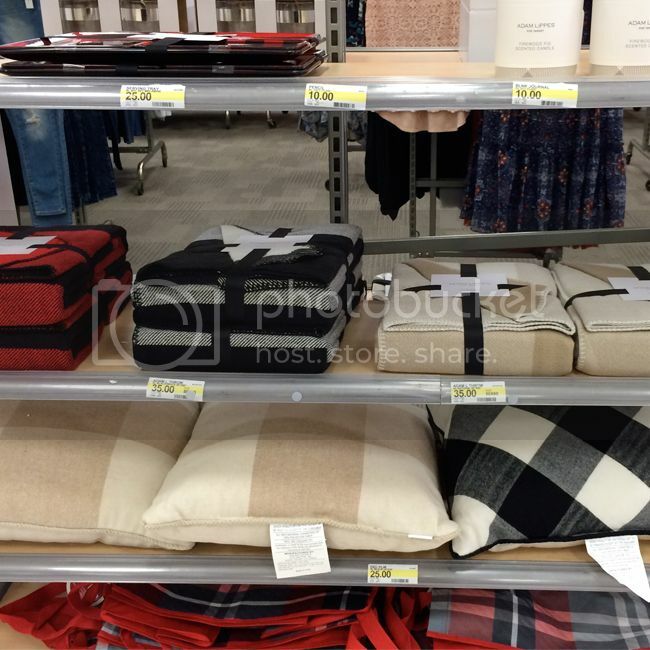 The throw blankets ($35) felt soft and are reversible (insert thumbs up emoji here), and the serving trays ($25) were heavier than I expected. 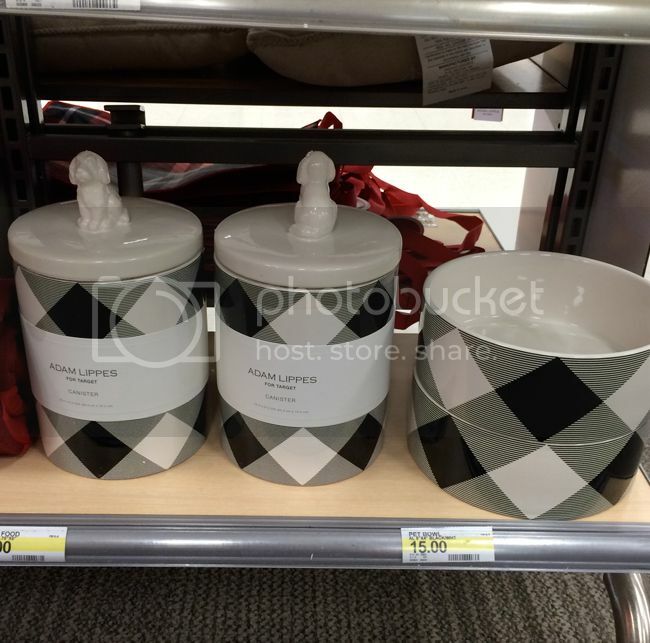 I liked the ceramic dog bowl and pet treat canister in person, as they appeared to be well made and would look cute in the kitchen. Plus, how fun is the dog shaped handle? My store seemed to have one of each size in many items, such as the cowl neck sweater (which also comes in plus sizes 1X-3X online). I did not see any plus sizes in the two stores I visited. Come on Target, you can do better! The painterly plaid crepe blouses (shown below in blue and black) remind me of the Merona brand because of the fabric and print. Both were lightweight polyester, and the kind that's unfortunately prone to static cling. 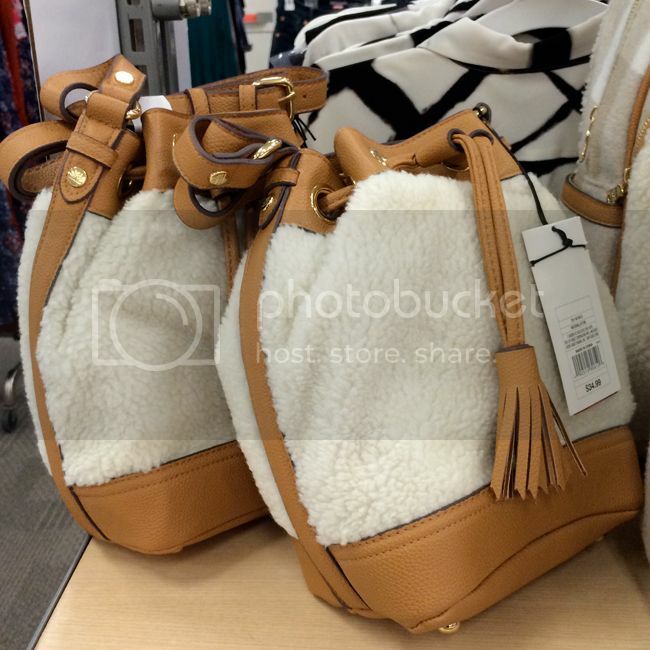 The shearling drawstring bucket bag ($34.99) has feet, which is a nice feature to keep the bottom clean. It's small but not too small like some of the Eddie Borgo bags. The inside has a zip pocket and large patch pocket. It's a top pick for me, as I love the neutral color, gold hardware, and cozy texture. Just don't wear with a new pair of dark denim, or it'll discolor the bag. Regarding the other bags: the plaid bucket bag is also cute in this black and white colorway, and it's slightly larger. I was also eyeing the weekender ($49.99) in black and grey, as it looks like the perfect size for road trips. 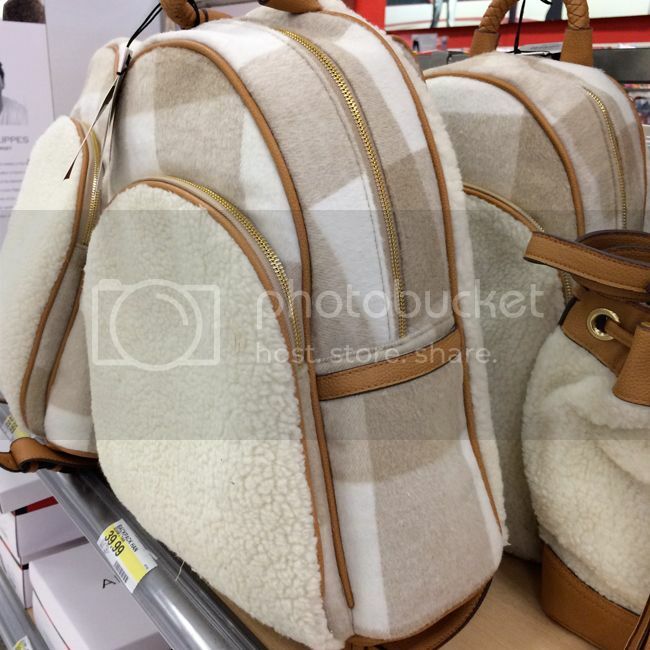 The oatmeal plaid backpack ($39.99) looked much cuter in person than online. I like the side pockets, although the zip didn't feel hefty enough to withstand the test of repeated use. 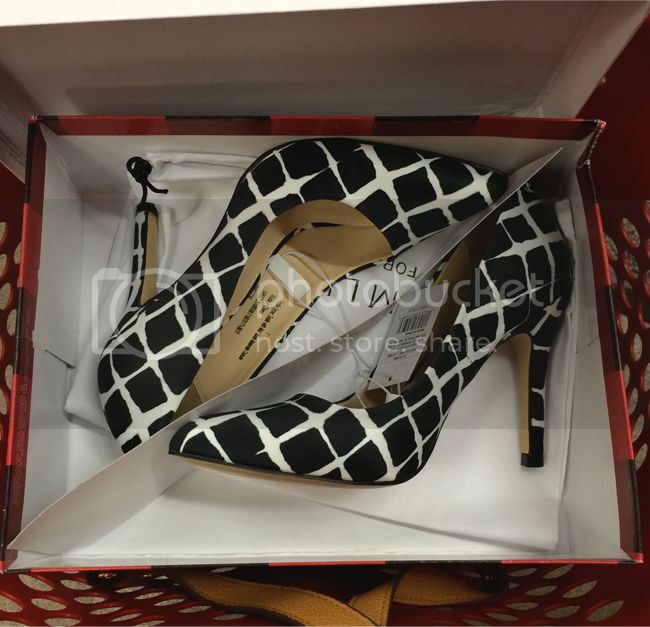 The plaid pointed toe pumps ($39.99) remind me of the Prabal Gurung "Nolita" print pumps, and they run true to size. They were much more comfortable than I expected, and even come with a dust bag, which is a nice touch and a nod to luxury brands. The graphic print of the pumps print feels artsy and elevates a basic outfit with dark denim. For me, they were more comfy than the flats, which run half a size big. 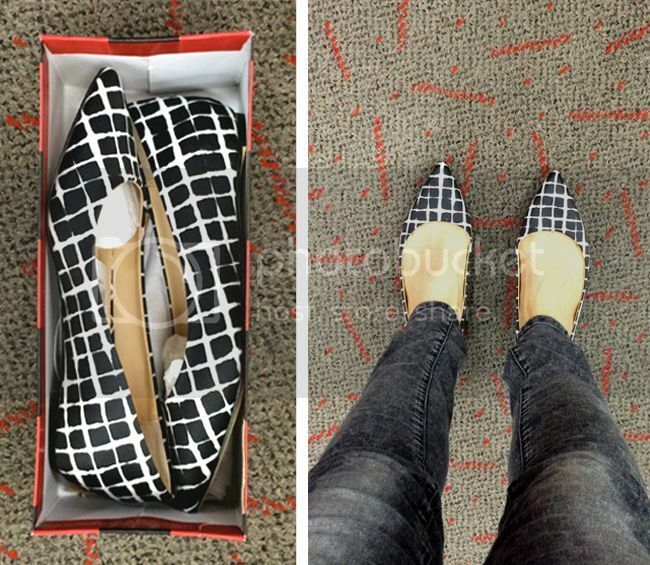 The ballet flats ($29.99) also come with a dust bag. I tried on a size 7 (my regular size) and they slipped off the back of the heel when I walked. A 6.5 would've fit much better for me. Unfortunately, they felt stiff, but a fellow shopper complimented them on me nonetheless. 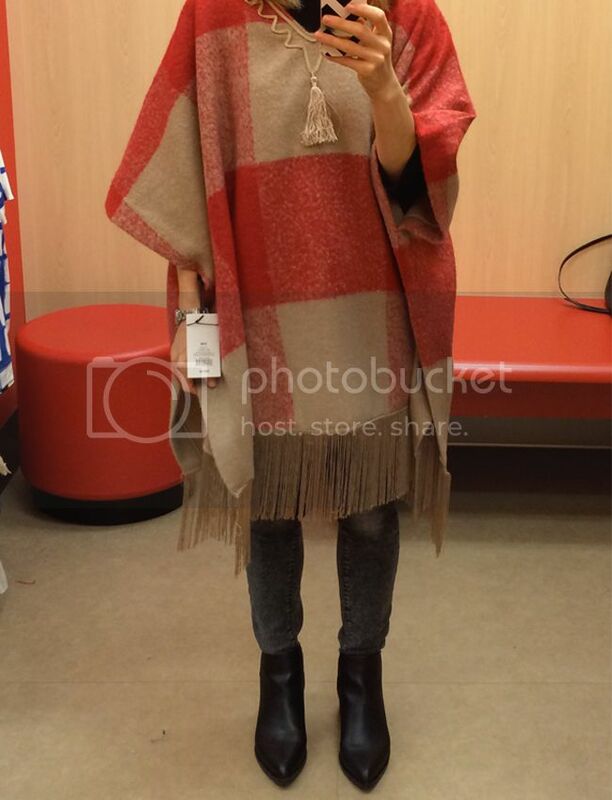 For reference, I'm a petite size XS or 0 at Target and currently around 100 lbs. 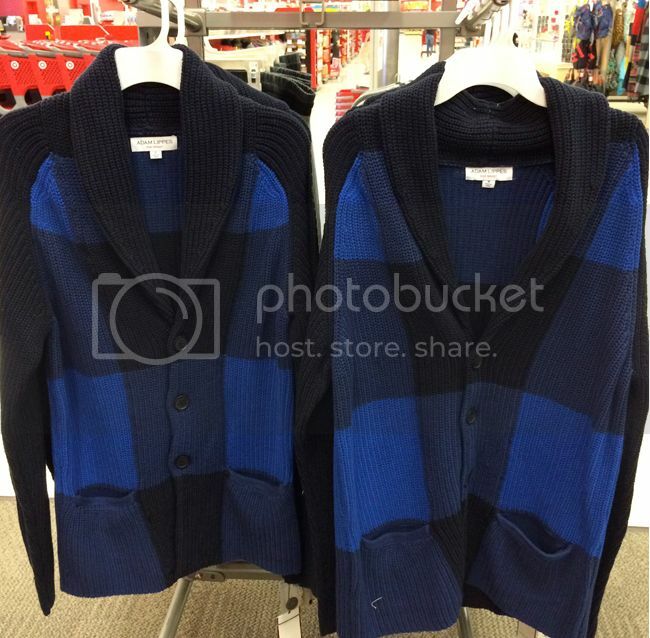 I found almost everything to run big and to be in line with Target's Women's sizing, like the Merona brand. Quality seemed better than previous designer collections, with no visible issues regarding puckered seams, tricky zippers, etc. Here's what I tried on in size XS. The painterly crepe shell tank ($27.99) had an asymmetrical hem that was longer in the back. It also had side vents and a deep V-neck. It's a sporty and lightweight slip-on style. 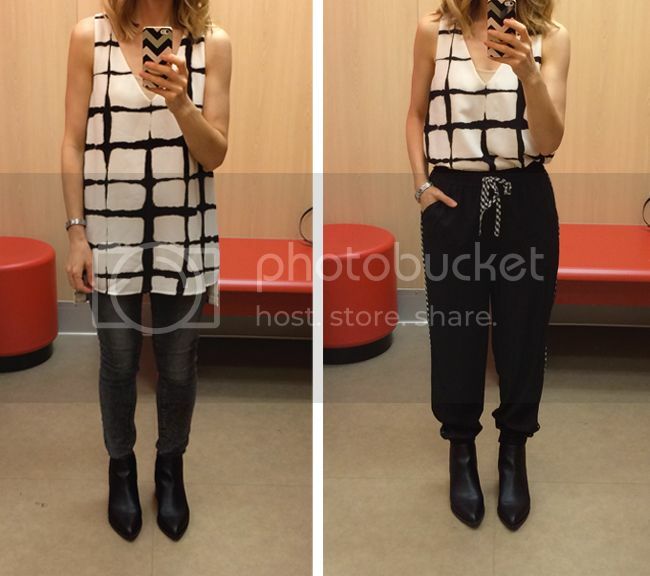 I'm wearing it untucked on the left and tucked into the Adam Lippes for Target woven joggers ($29.99) on the right. The joggers felt comfy and had cute plaid trim and a plaid print drawstring, but they didn't feel special enough to buy. The painterly plaid shirt dress ($49.99) was really long on me as I expected it to be. I prefer it belted (here's a stretchy belt under $20 similar to mine) to define the waist. It's a versatile piece that can be worn as a dress, a long shirt, or layered under a vest, etc. The maxi length is on-trend, but more suitable for taller customers. This piece is really similar to one from the Fall 2014 Adam Lippes collection. See for yourself! 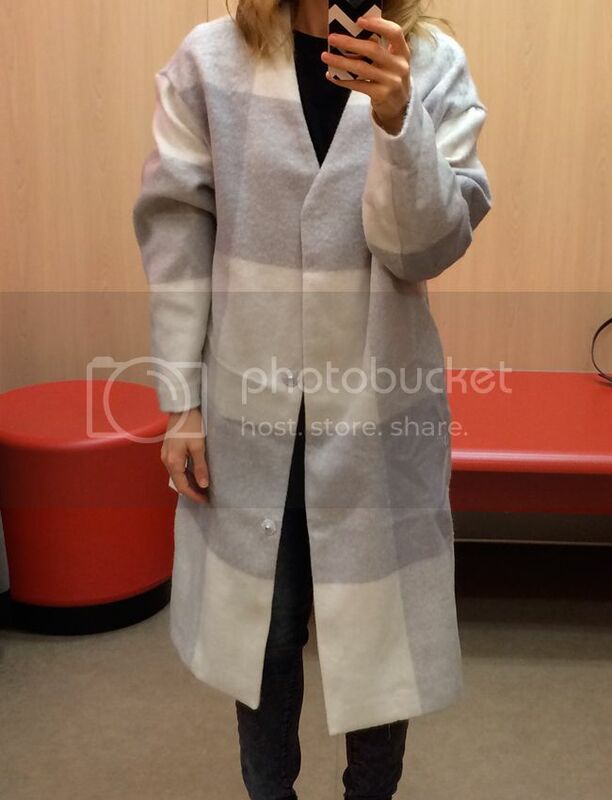 I wanted to like the somewhat thin mohair coat ($69.99), but it was too big and too long on me. It was ever so slightly itchy due to the 10% wool/90% polyester fiber content and the fact that it's unlined. It has two side pockets and snap front closures. It also left my black top with layer of lint. 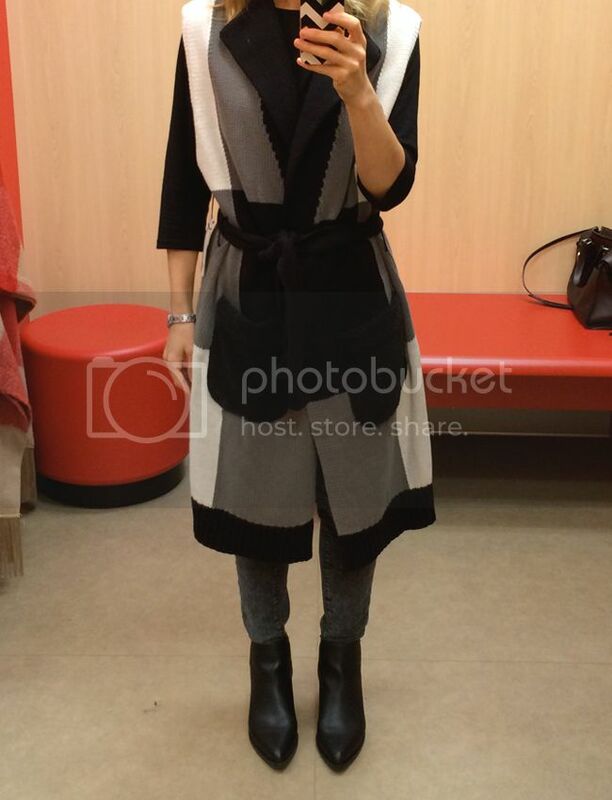 I wanted to try on the heavy weight coat ($129.99), but my store didn't carry it. 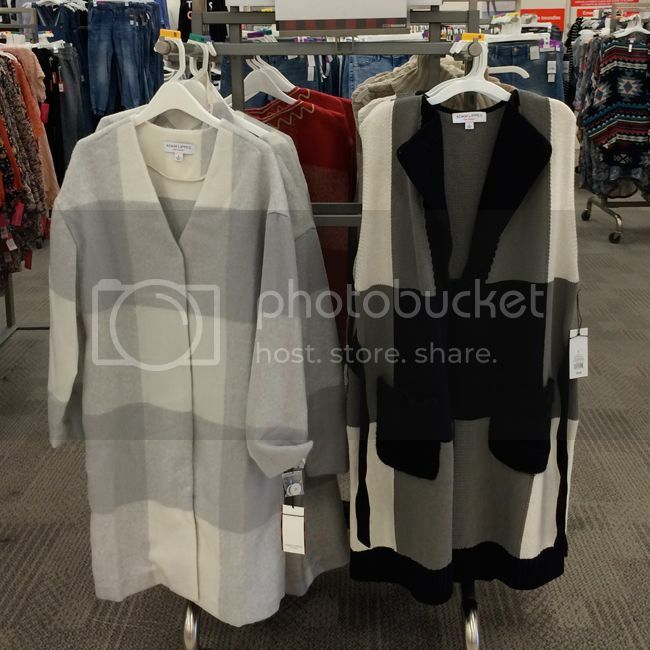 The belted layering vest ($39.99) was a surprise hit for me. The faux shearling pockets are a signature Adam Lippes detail, and the neutral black/white/grey color palette makes it easy to wear. I like this over a turtleneck when it gets colder, and over a simple white tee for when it's not so cold. Major thumbs up to Adam Lippes on this one. It's my hero piece in the collection and it feels like a cozy wrap made of great quality. It's warm and well worth the price in my opinion. 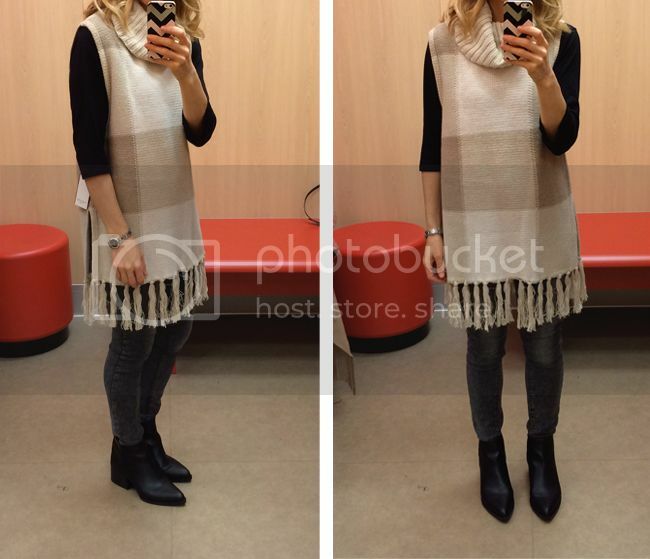 What I liked most about the cowl neck sweater were the side slits and the fringe. Like the mohair coat, the XS didn't flatter me and was oversized. I'd probably love it more with a braided brown belt (like this style under $20). 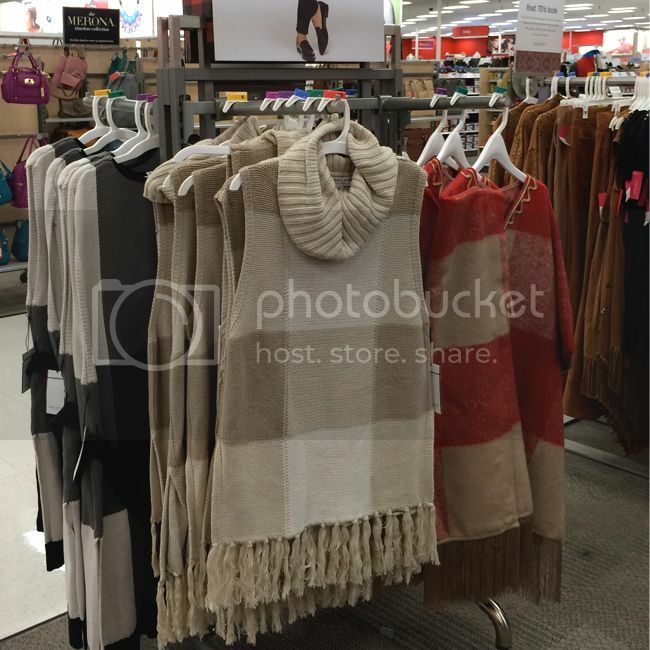 The mohair fringe poncho ($59.99) features Target's signature colors, and I didn't care for this color palette nor the oversized fit. I tried on a size S/M. I liked the tassel detail, but the fit wasn't for me. It felt heftier and more substantial than I was expecting. It would be a more suitable option if I were taller, liked the print, and if it weren't over 80 degrees today (and every other day in southern California so far this month). 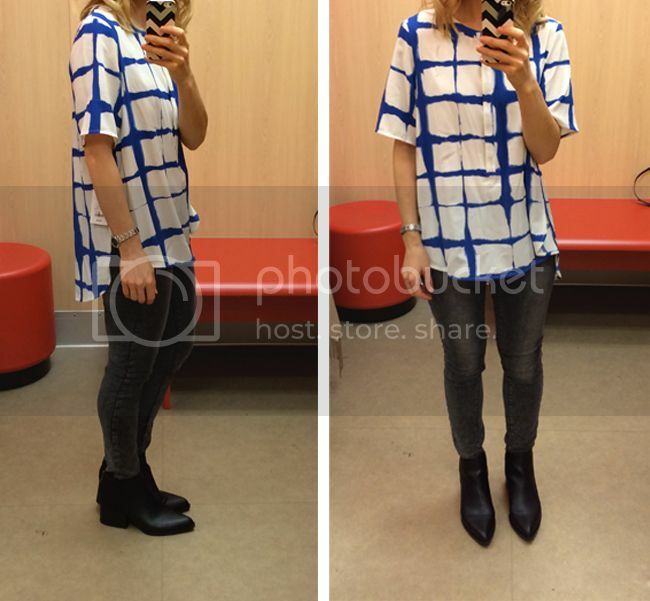 The double layer shift dress ($49.99) was my least favorite fitting room piece. I belted it on the right to give it more shape, but I still didn't like the fit. There are side vents on the black layer, while the grid print layer underneath runs narrow in fit through the waist. I'm not a fan of this one for myself, but would probably like it better on someone much taller. It's a medium weight polyester crepe. The painterly crepe blouse in blue ($29.99) was lightweight and comfortable, with a longer hem in back. It feels breezy and artsy, and has an inverted pleat in back for an oversized feel. There is a partial button placket, but I was able to just slip this on over my head easily. I like it more than I was expecting. With some effort (ahem, bribery), I cajoled the man friend into trying on a few pieces. For reference, he's about 5'10" and 150 lbs. with a narrow build. He's wearing a size medium in the waffle knit henley ($19.99), which runs true to Target sizing. In the middle, he's wearing a size small in the shawl collar cardigan ($39.99), which runs long, is 100% cotton, and is heavy in weight. 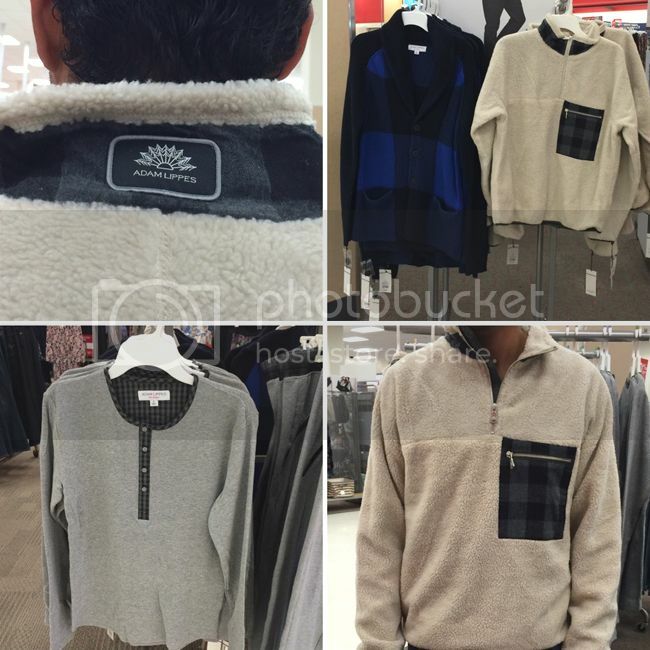 The half-zip sherpa jacket ($39.99) on the right had sleeves that run long, and he's wearing a medium. I like the contrasting zip pocket and logo label on the back of the neck. 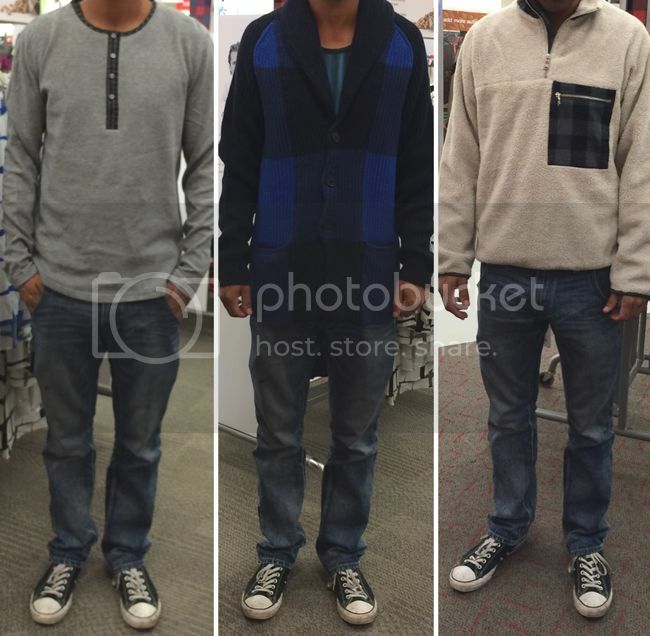 He was comfortable in all three pieces, and received a compliment from another Adam Lippes for Target shopper while trying on the sherpa jacket, which also comes in black. The shawl collar cardigan is a great gift idea in case you start your holiday shopping early this year! I also love this crewneck sweater ($34.99) and baseball bomber jacket ($64.99), which my store didn't stock. Can't get enough buffalo print? 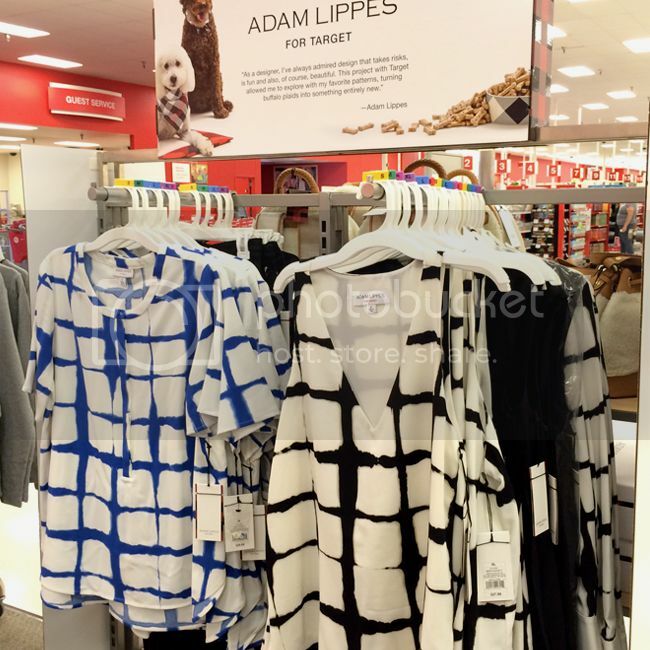 Read my in-store shopping tips and see just how similar the Adam Lippes collection is to recent Adam Lippes runway looks. Note that the return policy for this collection is 14 days unless you have a RedCard, which gives you an extra 30 days to return. Don't have a RedCard? Sign up for one and enjoy the free shipping, 5% discount on purchases, and extended return policy. Get on the social media grid with me! (Get it?) Catch up with me on Twitter, Facebook, Pinterest, or Snapchat @thekeytochic for more shopping and TargetStyle inspiration.